The GROOVALOTTOS Go on At 8PM!!! 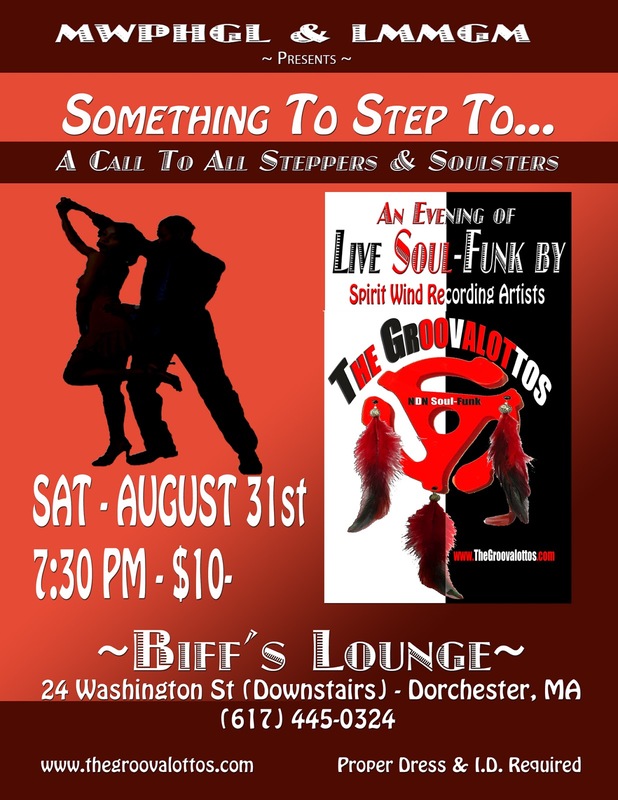 “Something To Step To…” is an evening for the Steppers Movement in Boston, offering an injection of live soul-funk by The GROOVALOTTOS. funk band, The GROOVALOTTOS; taking place on Saturday, August 31, 2013 at Biff’s Lounge, 24 Washington Street (Downstairs), Dorchester, MA. Doors open at 7 PM. 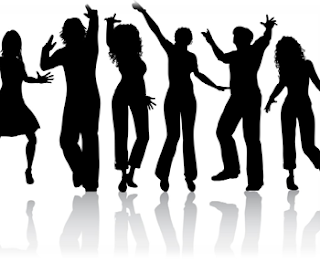 Steppin’, also called “Chicago Steppin’” is a dance form that grew out of Black ballroom dance culture of the 1950s found in primarily in Chicago, as well as Washington DC, Detroit, Los Angeles, and New York. Giving rise to the hustle movement of the 1970’s and is a growing movement throughout the country; locally curated by the organization Steppin’ In The Bean. Formed by veteran Motown session player, James Wolf in 2009, The GROOVALOTTOS is a band that offers a blend of soul, funk and blues that they call ‘NDN Soul-Funk’. They have been pulling fans to the dance floor since their public premiere in 2011. While working on their first album the band has had a busy and colorful summer, including playing for break dancers and MCs at a community festival in Providence, and fresh from headlining at the NDN Soul Festival on Cape Cod. On August 31, they bring their sound and style to the Steppers, Groovers and Soulsters of Boston. 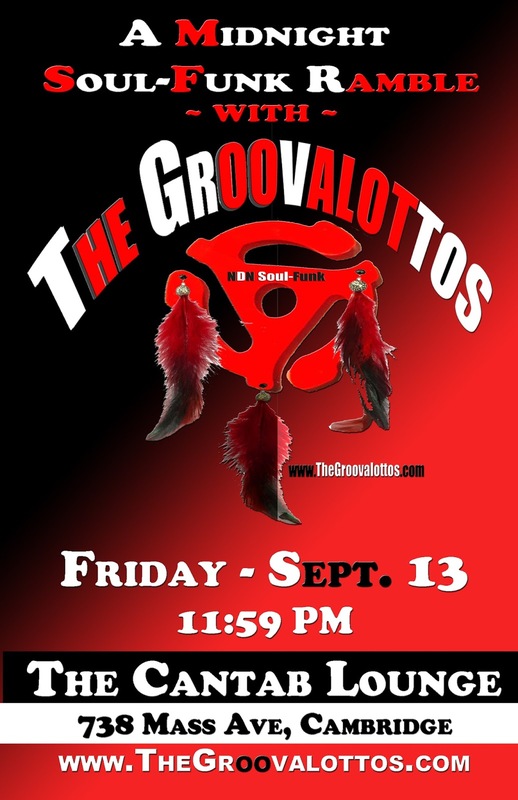 The GROOVALOTTOS are an Afro- Native band who’s members are from the Wampanoag, Cherokee and Choctaw communities. Aside from performances, the band also offers workshops, clinics and residencies to schools and community- based music programs. They are part of the New England State Touring program under NEFA. For more information, visit them at www.thegroovalottos.com. A Call to All Steppers, Groovers and Movers!!! Howlin' Wolf's style is a clear mix of Ghanaian & Choctaw music. When a band fully embraces it's musical and cultural heritage, it is both a beautiful and powerful thing. The core membership of The GROOVALOTTOS is Wampanoag, Cherokee, and Choctaw. Two of these indigenous communities are from the birth-places of the blues, jazz and soul; so it's a no brainer that the bands music would reflect this. Calling their sound NDN Soul-Funk is the bands way to pay tribute to an under-recognized link between native and Black music in America. Introducing the hash-tag "#NDNSoulFunk" has been instrumental in raising awareness of the band and the Afro-Native musical forms. The keyboardist and co-vocalist ofThe GROOVALOTTOS, Mwalim DaPhunkeeProfessor is also a noted musicologist who has done ample research into the Native American roots and contribution to these music forms in an effort to fill in for previous musicologist work by others who were unable to identify the non- African elements of the blues. As Mwalim explains, "finding the full story of the roots helps you to explore and investigates different ways to approach and experiment with the music. America is a country that, at it' roots is so obsessed with race, white supremacy and compartmentalization that it is easy for the best and brightest to over-look the interactions of ethnic groups without white influence." The GROOVALOTTOS are currently gearing up for a string of gigs and a mini-tour as well as finishing their premiere album. 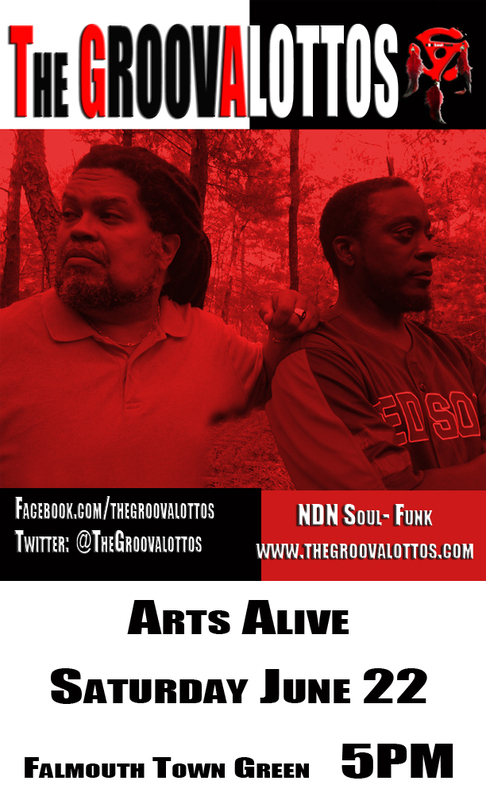 NDN Soul Festival Coming August 17th and Featuring The GROOVALOTTOS!!! Without Question, this will be one of the best nights of live music on Cape Cod!!! 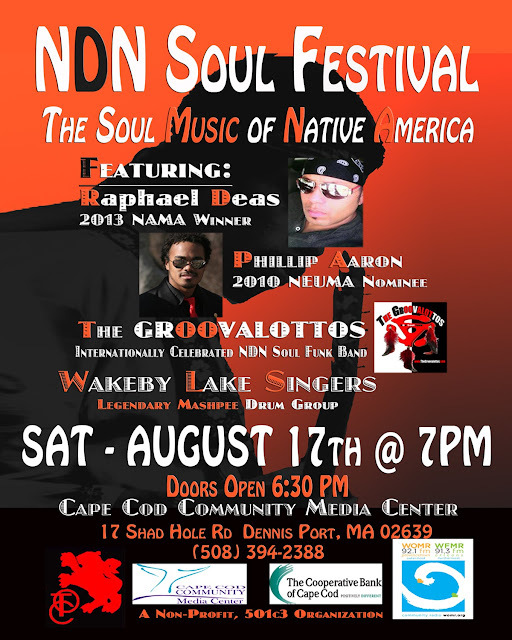 The NDN Sou Festival will be a live televised concert of some of the best soul, funk and jazz acts in contemporary Native American Music; including 2013 Native American Music Awards winner, and radio personality Raphael Deas; Soul singer extrodinaire and 2010 New England Urban Music Awards Nominee, Phillip Aaron; Internationally celebrated, Spirit Wind Records recording artists, The GROOVALOTTOS; and Legendary Mashpee Drum and Singing group Wakeby Lake. This is a seemingly obvious point, but every producer who is preparing to embark on a project, needs to do a few bits of prep-work... inspiration and perspiration..
My first time producing a project was in 1985, it was a demo for my first songwriting partner (R.I.P. Quinn Dickerson) as we were trying to get a record deal. 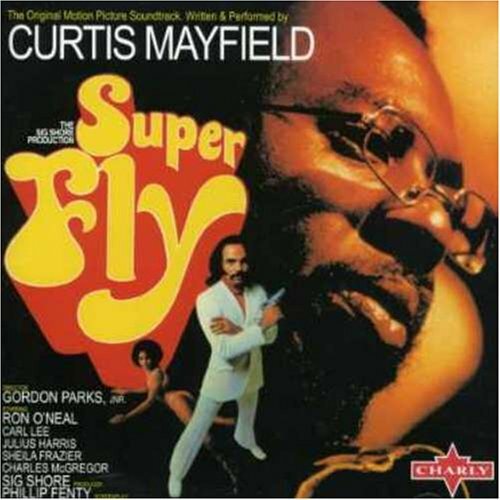 At that time, the producers or all producers were Quincy Jones, Full Force and Kashif. So, I not only went about trying to listen to everything they produced, but finding every possible article and interview that they were featured in to see if they gave any tips or hints on production. I knew I was on the right track when Quincy Jones said in an interview that when he was producing an a;bum, he would listen to all of the top ten albums of that year for ideas... Full Force said that a producer needs to find their instrument sounds and be consistent... Kashif talked about song textures and grooves. While the demo didn't get us signed, it did get my foot in the door of the industry. It also became the basis for my approach to producing a project for the remainder of my career. No matter how new, unique, experimental or innovative a recording project is, I can guarantee that you will find at least ten albums that can influence your approach to producing the album. All artists and producers like to think that they are contributing something new to the music world, and in many ways we do, but in many ways our concepts, even subconsciously are composites of our past experiences and interactions, combined with new ideas and sounds we've acquired in our minds. For example, consider Parliament Funkadelic and how way out they were, but then line them up against Sun Ra, James Brown and Jimi Hendrix and hear the influential thread. of this band experiences mood and tempo shifts within single songs as well as a bunch of other elements that were common in older recordings but are virtually unheard of with most of the contemporary recordings. The challenge here was trying to capture some of the excitement and vibe of thew band's live show in a contained environment, like a recording studio. Here, we want it tight and solid as opposed to perfect and predictable, bust still something that can be enhanced and -to an extent- manipulated. One of the big issues of the modern approach is the "producer pack" sound files used when tracking live instruments. For example, a drummer goes in and lays down a drum track, then a production intern takes the track and finds the snare sound that is the new "hit" snare sound from the producer pack and cuts it in over the snare drum from the live drum. Live drummers are very, very, very rarely used in recording sessions anymore and even if they are, the drums they played are almost never what you're going to hear on the record. I wanted to get away from the industry mold for this album. For one thing, I love the sound of E Ray J's snares and feel they are an integral part of the band's sound. For another thing, I wanted a crisp band recording,like a great, multi-tracked jazz album... The approach I chose was to get a great band take and then address each instrument and track one-by-one to bring it to speed, they way they did it in the 1970's when the 16-track was introduced. Okay, so we went into Ron Ormsby's and laid down a bunch of my originals in the session. Just played them through like we do in a show, except everybody get's really self-conscious in a recording session no matter how many times we've played a song. We laid down some solid grooves... some stuff we can really be proud of. Now we need to fix it and get it up to level. The most solid and consistent tracks were the keyboards (no applause necessary) and the drums. A few of the keyboard parts, I'm going to re-do so that they can fit into the songs better.What we have, is the basis of a killer album. this: as a producer in a room full of music producers, why is it a novelty that I produce real bands and real band recordings? The music business migrated to an electronica, direct input production system in the 1990's. As I sat at the conference and listened to the interviews with the top producers of today, who all worked off of a single beat machine and sampler, it was proof positive that popular music had de-evolved. As the panelists listened to my tracks, most were impressed with the fact that I had real band recordings in with my electronic works; while some felt that I was doing 'meaningless production work' and should have sampled and looped the instruments. Fast forward to when it came time to producing a recording for The GROOVALOTTOS, it became time to throw the lessons learned from working in the music industry in New York out of the window, and make an album the actually captured the magical essence of the band, over a bland, sterile and predictable cookie-cutter record as the industry requires. To make this album I had to reach back into an older bag of tricks... Trying to figure out how to approach recording this song is the trick. I'm going to have to skip over every rule that the industry tried to teach me ten years ago about the 'new sound'. For one thing, we're not making a pop record. Drum machines, samplers and beat machines are not the root of this project. 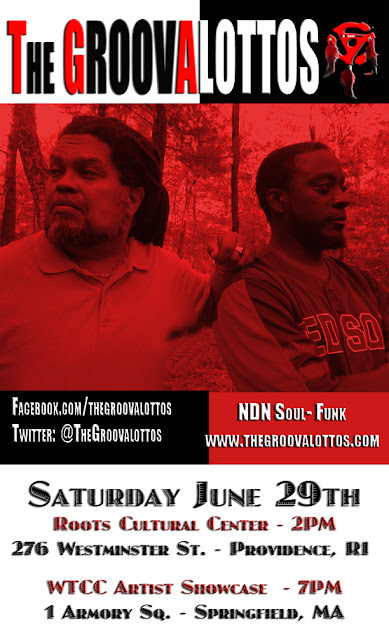 Part of the mystique of The GROOVALOTTOS has been their ability to gain gigs and a following on pure buzz, with a couple of demos floating out in the Soundcloud and Youtube universe. The advent of the beat machine and electronic with time correction and pitch correction making music 'perfect' or perfectly sterile to be more precise; the truly organic band recording has become an extinct element. Drummers and bass players, rhythm guitars and backing vocals have become sampled a looped elements; along with sequenced keyboard parts and 'auto-tuned' leads are the stuff records are made of. 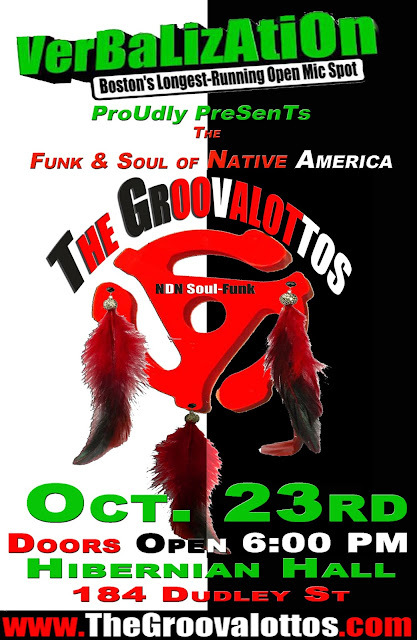 The GROOVALOTTOS being a rather self-contained musical force, with singer, sonmgwriter and keyboardist, Mwalim DaPhunkeeProfessor being the seasoned producer of the crew, took on the ardous task of capturing the raw, organic, funky essence of one of Native America -if not America in general's- greatest bands. 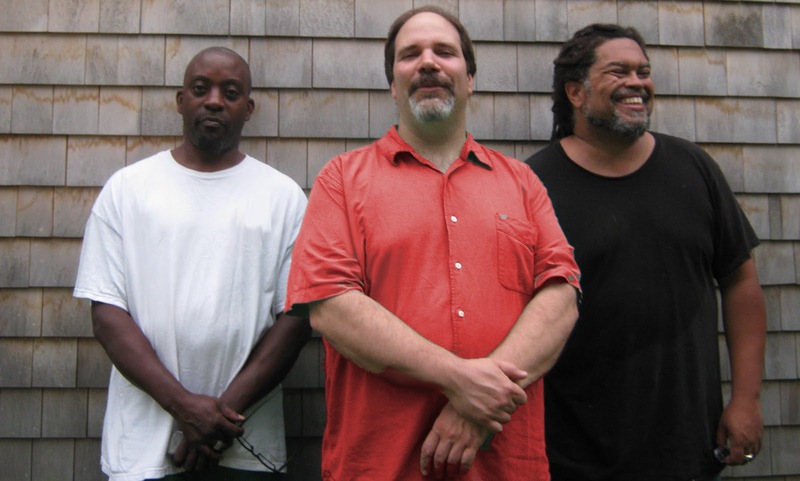 This is a story that takes us into some of the best recording studios in Southeastern, Massachusetts, with some of the best soul, funk, blues and jazz players in the country, with one of the greatest producers and musical minds in the business. Native American/ First Nation roots of their sound; given that the band's two singers; E Ray J, a Cherokee; and Mwalim, a Mashpee Wampanoag, it is obvious that the musical traditions of these two rich cultures would find their way into the bands music. Mwalim, who in his other life is a professor of Black Studies, and a scholar of Black and Native American performance traditions; contributed an essay to the companion text for the Smithsonian exhibit, Indivisible -exploring the Black Indian experience- that discussed the Native American roots of the blues, the band's understanding of the true roots of their music is pretty well founded. In honor of such musicians as Jimi Hendrix, Charlie Parker, John Pepper, and Ritchie Havens, the band decided to start describing their sound as "NDN Soul-Funk" with Rock & Soul (as made popular by Lenny Kravitz) as their alternate description. While working on their album, the band came to the resolve. CENTERVILLE, MA - In this day and age, it is almost unheard of for a band to get gigs without a demo (shy of a CD of live cuts from gigs); yet and still The GROOVALOTTOS were able to turn their early gigs into showcases for future gigs. In this day and age where the 'industry standard' is recordings a few bars; sample, loop, cut and paste jobs. Such a process fails to capture the raw essence of a solid, live band. With this in mind, The GROOVALOTTOS are taking time to record a nine-song album in the famous REO Studios, with jazz bassist and engineer Ron Ormsby. Ormsby, who specializes in live ensemble recordings, ranging from jazz bands to classical and chamber ensembles, is the perfect studio for one of "Americas Most Entertaining Bands" to lay down their power Soul- Funk Sound.